This week the Horror Duo don their long black robes, and light their tall black candles and offer up a pair of Halloween themed film for sacrifice. 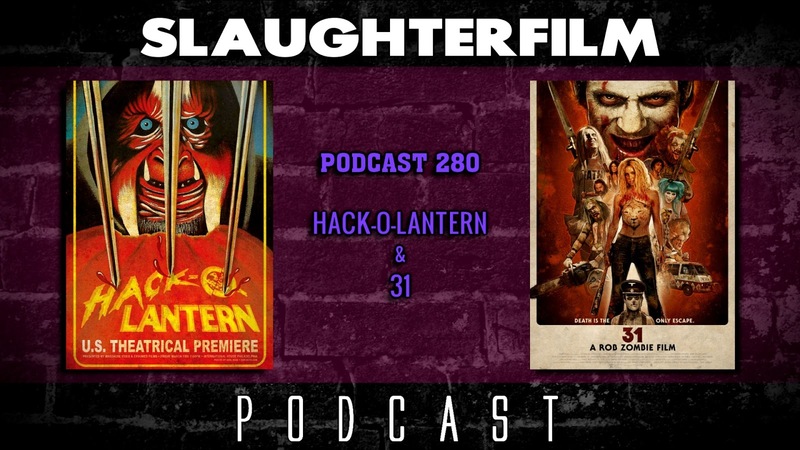 Forest shares his thoughts on the straight to video 80's satanic slasher Hack-O-Lantern. Cory covers Rob Zombie's most recent film, 31, about powdered wig wearing aristocratic murderers. They also chat about the new low achieved by sensitive liberal types involving Corn Pops, the release of Stranger Things 2 and the passing of Fats Domino. All this, and Cory considers becoming a man-splaining internet troll. For more Slaughter Film news and reviews, as well as show notes and special events, make sure to visit our website; SlaughterFilm.com.